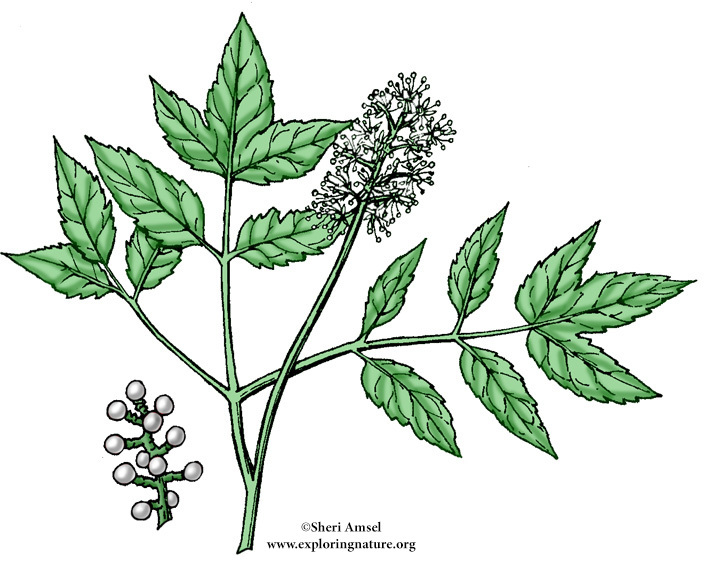 They are found in woods and thickets. They have tiny, white flowers tightly bunched in a spike on a thick stalk. The large leaves spread into many oval, pointed leaflets with toothed edges. 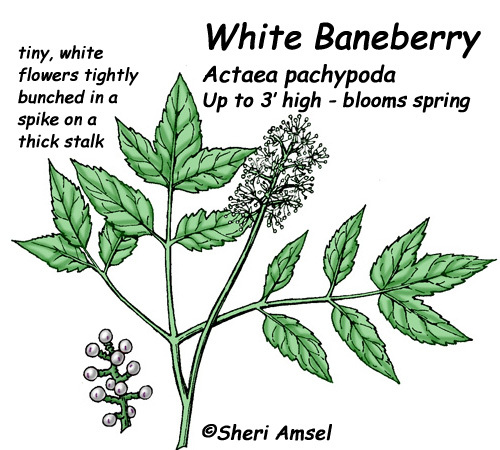 The flowers form white berry bunches, each with a purple eye. They bloom May through June. Also called , doll's eyes.